It's up! August calendar cards! To get this freebie, head over to my Facebook page and click on the fan freebie tab! 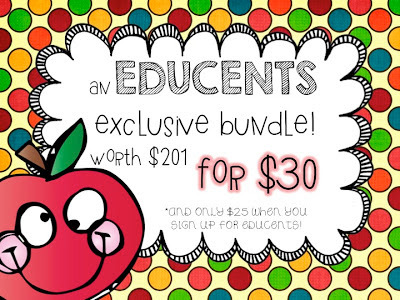 Also, don't forget to check out the awesome deal from Educents!! I've donated my Interactive Phonics Notebook for the bundle deal! I love the slide. I didn't know you had so many cards for the calendar free! They are really cute. Thank you.